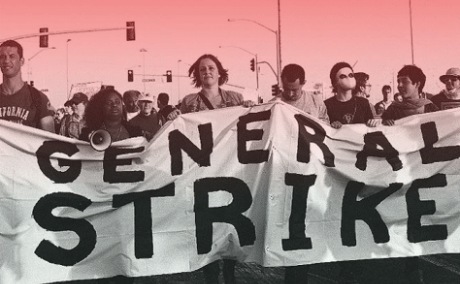 This draft document attempts to present a brief decade by decade outline of labor and the labor movement in the US with an emphasis on the role and relation of the left. First published in 2009. Indentured servants, sailors and slaves organize minor labor protests and rebellions, and local level proto-union organizations. Some of these efforts included both white indentured servants and slaves cooperating together. Fearful elites grant privileges to whites servants and enshrined a harsh system of chattel slavery for Africans such as through the Naturalization Act of 1790 which granted citizenship only to “free white persons.” Also during this period sexual division of labor would produce laws, culture and practices of unpaid work for girls and women that would last for centuries. Race plays a key role in US labor history whereas early white servants and later workers were granted privileges, access to land, and the right to vote (far before male suffrage was granted in most western countries). Leading into the Civil War period, many white workers cling to the ideology of “free labor,” seeing themselves as free whites and wanting to return to an imagined golden era of artisans, small farmers and shop keepers which they hold in contrast to unfree, slavish and permanently proletarianized workers of color. Because of this, much of the history of unionism has been of white, skilled male workers (though the definition of who was considered white changed over time to incorporate various European immigrants such as Germans, Irish, Eastern Europeans, etc) protecting their privileges against the unskilled, women and non-white workers. Also a much smaller current of homespun labor radicalism emerges, which is sometimes called a “proto-marxism” by historians. Civil War is a defining conflict in US history over what type of labor system the country will have with Northern elites eventually imposing free labor in contrast to Southern plantation owners who wished to maintain race-based chattel slavery. Following the collapse of Reconstruction after Civil War, white elites impose the laws and customs associated with Jim Crow that creates an apartheid system that lastes into the 1960’s and making blacks the most exploited segment of workers. Laws created across the country during the Jim Crow era, such as for vagrancy, apply for all poor and non-white. The Knights of Labor emerged in the 1870’s from a small secret society as a mixed bag of radicalism and grew rapidly (with close to 10% of industrial workforce as members) as an alternative to the largely conservative, craft based and segregated National Labor Union. The Knights embraced all manual workers, women, Latinos, African-Americans and even small employers in joining their local assemblies, though campaigned against immigration and the Chinese on the West Coast. Upholding an ideology of “producerism,” the union opposed the wage system, believed in the replacement of capitalism with worker and consumer cooperatives and its rank and file members led a number of strikes though the official policy as set by its Grand Master Workman Terence Powderly was generally opposed to strike. Many socialists and radicals joined the Knights, including the many of the Haymarket anarchists, as an alternative to the craft unions. In the 1880’s the movement for the eight-hour day became a central demand of the labor movement nation-wide with Chicago acting as the center of the movement. Here the city’s vibrant anarchist movement, organized around the International Working People’s Association (IWPA), based in European immigrant communities, mainly among Germans, led the Central Labor Council (which the 11 largest unions in the city were affiliated to and passed resolutions calling for workers to arm themselves for self-defense) and published a German daily newspaper and weekly papers in several languages. In 1886 Eight-Hour Leagues and unions across the country called for a nation-wide strike for eight hours on May 1, which involved over 300,000 workers, though some won their demands simply by threatening to strike. This led to the notorious Haymarket square bombing incident- where Chicago police attacked a peacful rally on May 4 protesting the killing of several workers the day before and an unknown person threw a bomb into the crowd. Following this the authorities initiated the first US red scare, shutting down newspapers, closing halls, arresting radicals and unionists nation-wide and later executing several of the anarchist leaders (known as the Haymarket Martyrs or more often as the Martyrs of Chicago in Latin America). The repression essentially destroyed the radical labor movement and marked a decline in a distinctive anarchist influence on the labor movement, but served as important inspiration and influence for an entire generation of labor radicals in the early 20th century. Also popular during this period were several other anti-capitalist ideas, such as the novel Looking Backwards by Edward Bellamy, which imagined America in the future as a utopian socialist society. Influential in the socialist movement, it was the third most popular novel at the time of its release in 1888 and inspired Bellamy Clubs across the US. Following the Haymarket affair, which sunk the Knights of Labor as well, this paved the way for the emergence of the American Federation of Labor. The AFL represented the conservative wing of the labor movement, based on skilled craft unionism (many with racial exclusion clauses) and a narrow vision of protecting the privileges of members over other workers. AFL President from 1886-1924 was Samuel Gompers who ruled the federation with a heavy hand and collaborated with the government to oppose radical unionists such as the IWW. A former socialist, he embraced the image of a respectable labor leader loyal to the government and rejecting any notion of class struggle. His form of conservative, pro-capitalist and exclusionary unionism represented the arch-type of “business unionism.” Still ideas of worker control on the job and producerism persisted and unions such as the Western Federation of Miners, radicalized through a number of bloody strikes in the frontier West, would come to embrace anti-capitalist ideas and attempt unsuccessfully to organize a new national federation of unions. The Industrial Workers of the World was formed in 1905 through the merger of various currents of radicalized unionists (such as the Western Federation of Miners) and left wing socialists and radicals as an alternative to the AFL. The IWW could best be described as revolutionary syndicalist in outlook, though had a strong affinity and some connections with the trend of anarcho-syndicalism that was playing a strong role in many countries around the world at the time. Anarcho-syndicalist unionism developed in countries where the anarchist movement was stronger and the unions they created proclaimed specifically anarchist beliefs, whereas revolutionary syndicalist unions while proclaiming revolutionary goals did not specifically align themselves with anarchism and sometimes included larger numbers of radical socialists in their leadership. They were larely the same in practice though. Both currents emerged in Europe, though played a leading role in early unionism in much of Latin America, Mexico and in China and Japan as well. Led largely by anarchists and other radical socialists, this form of unionism stressed class solidarity, the use of strikes to win workplace and political demands, fluid and democratic organization, and somtimes included mutualist ideas such as worker cooperatives and mutual-aid societies. 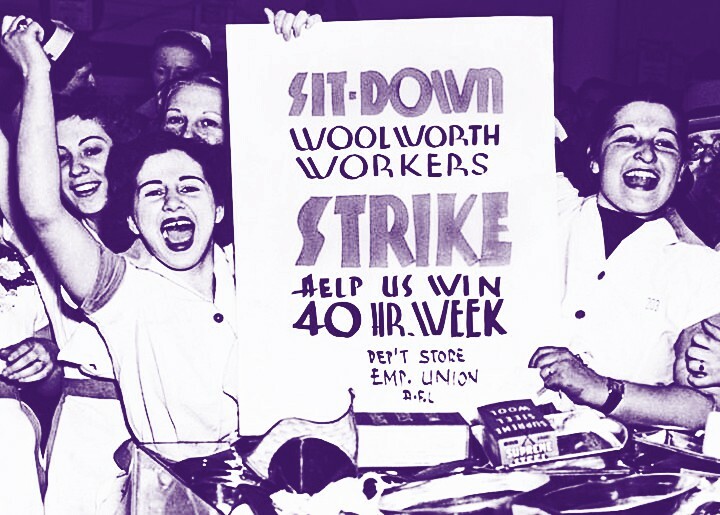 These unions actively promoted anti-capitalist ideas and the idea of the “general strike,” where workers would replace the government and capitalism and usher in a new order based on the control of workers over the economy. In the US a number of the Haymarket anarchists and the IWPA promoted what they called the “Chicago Idea,” which promoted unions as the nucleus of a future society and could be seen as an early or proto form of anarcho-syndicalism. 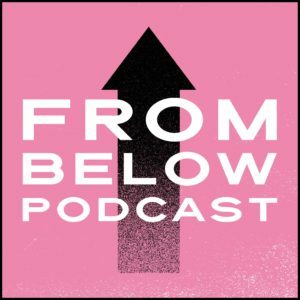 Advocating “One Big Union” the IWW embraced all workers, believed in industrial instead of craft organization, and advocated an explicitly anti-capitalist ideology. 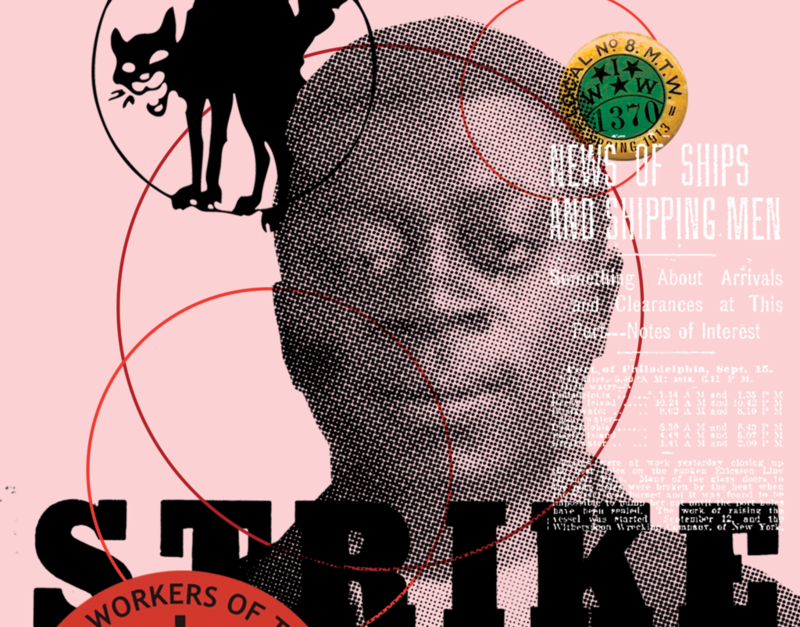 Though never large in numbers (perhaps 80-100,000 at its peak), the influence of the IWW was widespread and the union led a series of dramatic strikes and campaigns while building an important legacy of labor radicalism and culture still felt in the US labor movement today. Poised to make major inroads after over a decade of highs and lows, the union was brutally repressed during the WW I red scare during 1917-1919 and severely weakened after an internal split in 1924. Largely a mix of both native and white ethnic immigrants the IWW never completely overcame the color line of US unionism, though did appeal to white workers to place class solidarity above racial exclusion and included a number of notable leaders of color in its ranks as well as women. The IWW also undertook several notable examples of interracial unionism such as in the Southern timber industry, East Coast longshore and in California agriculture. Much of the left remained divided over the existence of the IWW, with the moderate and conservative wings of the left (such as the majority of the Socialist Party) basically denouncing the effort from the IWW’s onset and preferring to work within the AFL. Many important figures on the left and labor militants of the 1920’s and 30’s were former members. Also during the 1910’s and 20’s a legacy of ethnic based independent unionism and working class mutual-aid societies emerged among Asian and Latino workers in the West Coast, the Southwest and Hawaii. These labor organizations were largely openly rejected by the AFL and sometime formed alliances with radical unionists such as the IWW. The 1920’s were a low point for US labor. The IWW conducted some of its most mature organizing in the early 1920’s in agriculture, lumber, longshore, and led the first organizing attempts and sit-down strikes in auto, steel and rubber. But with the repression of radicalism generally, the weakening of the IWW, and attraction of the successful Russian Revolution, many leaders began drifting over to the Communist Party. The CP’s sponsored Trade Union Education League (TUEL), which brought together left unionists inside the AFL and was led by both former IWW and anarchist William Z. Foster. The TUEL and Foster’s approach is seen to represent the “bore-from-within” approach of working within to change or capture conservative unions that much of the Leninist tradition draws from, in contrast to the “dual unionist” approach of the efforts like the IWW to create competing radical or revolutionary unions. In 1928 the Communist International, believing that revolution was around the corner, changed its position and instructed all parties to abandon the “bore-from-within” approach and launch their own communist-led unions. This era is known as the “Third Period” of the Communist International. TUEL was reorganized into the Trade Union Unity League (TUUL) and proclaimed itself an umbrella organization of industrial unions. Funded largely by the CP (and thus Moscow as well), the TUUL led some successful efforts to create independent unions and organize marginalized workers such African-Americans, agricultural workers and the unemployed. In 1935 the Communist International shifted its position again and embraced the Popular Front position of coalition with all non-right wing political forces. The CP dissolved TUUL and began to work within the AFL and especially the CIO, attempting form alliances with the leadership of various unions. The CIO embraced the labor-capital accord (sometimes called “social contract,” or in Europe “social partnership”) and implemented no-strike contracts, a bureaucratic system of grievance resolution, solidified their leadership, supported the war effort by signing no-strike pledges (which is supported by the CP, though wildcat strikes are widespread) and sitting on industrial mediation boards with government and corporate leaders. In 1947 the Taft-Hartley Act passes, putting restrictions on unions and initiating the purge of CP’s and other radical from unions. Several unions are expelled from the CIO (including the still existing independent union UE) and they merge with the AFL in 1955. Amid economic prosperity which produced perhaps the highest standards of living in US history, the reunited federation reaches a height of 35% of the workforce. Still though nearly one-third of the US is left out of this prosperity and lives in poverty. The AFL-CIO largely bypasses the social upheaval of the 1960’s and staunchly supports the war in the Vietnam. 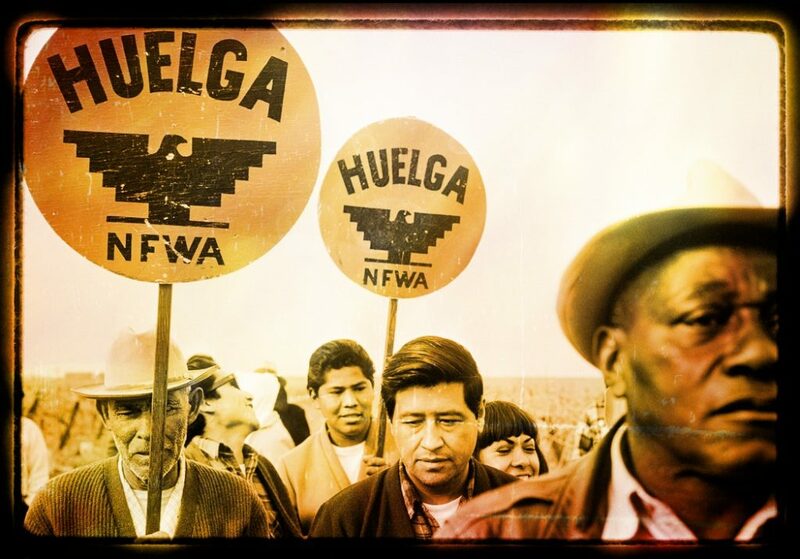 The UFW, led mainly by Cesar Chavez, emerges out of both the traditions of independent unionism among Mexican and Filipino agricultural workers in the Central Valley and Saul Alinsky influenced community organizing models. Their efforts gain the support of social democratic labor leaders, such as Walter Ruether of the UAW whose funding support made the grape boycott campaign possible. 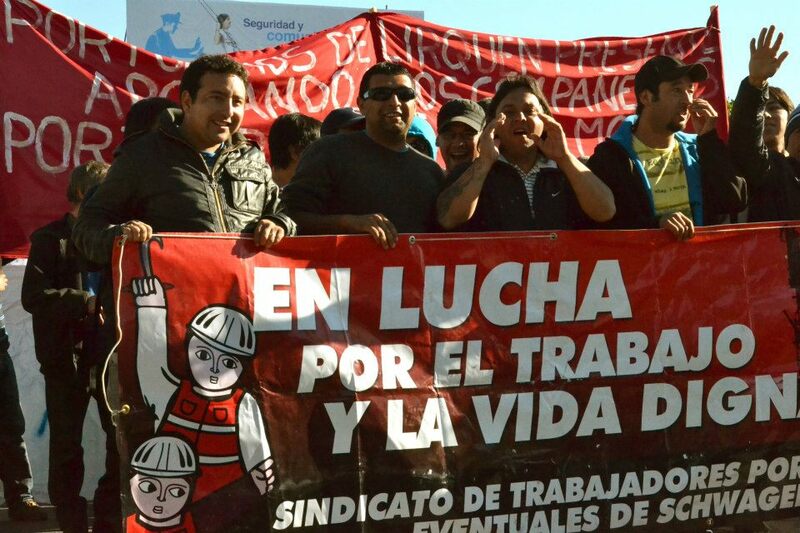 Further, UFW is able to utilize effective boycott and secondary picketing tactics, which are illegal under Taft-Hartely, because farm workers fall outside of federal labor law. Their ‘social movement’ style organizing and campaigns also garnered widespread support from the left (with CP members playing roles within the union) and especially the Chicano movement, though Chavez remained at arms length from their radicalism and would later purge nearly all leftist staffers and those he suspected of opposing his leadership in the 1980’s. By the mid to late 1990’s the union is a shadow of it former self and many of the worst conditions they managed to curtail begin to return to the fields. The 1970’s marks the beginnings of deindustrialization in the US and the neo-liberal era, as standards of living start declining and the manufacturing sector begins to be exported outside the US. The 1980’s is an era of concessionary bargaining and set backs for labor, with largely little resistance from top AFL-CIO leadership. This is best marked by Reagan’s spectacular mass firing of striking federal air traffic controllers in 1981. Out of the late 1960’s and early 1970’s many new left and new communist movement activists enter the labor movement as rank and file workers. Some attempt to gain leadership positions and some agitate within contract campaigns and conduct propaganda efforts, though little institutional impact can be found today except for the legions of ex-radicals that now populate staff and officer positions of some unions. Some radical extra-union organizations briefly emerge such as the Detroit Revolutionary Union Movement, composed of black auto workers fighting against auto companies and the UAW. Other lasting but more reform oriented movements emerge out of this era such as Teamsters For Democratic Union and Labor Notes magazine, both in part launched by members of Solidarity (a non-vanguardist Trotskyist organization). The US labor movement remains the weakest of all industrialized nations and with a strong anti-union culture within the populace existing for decades. Within the AFL-CIO top ranks though, crisis begins to brew as leaders react with bewilderment at the now undeniable crisis of membership decline caused by assaults on unions by employers and the fleeing of industry to the South and third world with the advent of neo-liberalism. This also tears away at union leader’s presumed partnership with employers and the Democratic Party. The AFL-CIO’s traditional alliance with the Democrats could not stop the passage of NAFTA by Clinton and its confirmation vote by Congress in 1993 as well. This opened the way for SEIU head John Sweeny to take the helm of the AFL-CIO in 1995 in the federation’s first contested election for its presidency, in what some have called a “palace coup” of sorts. 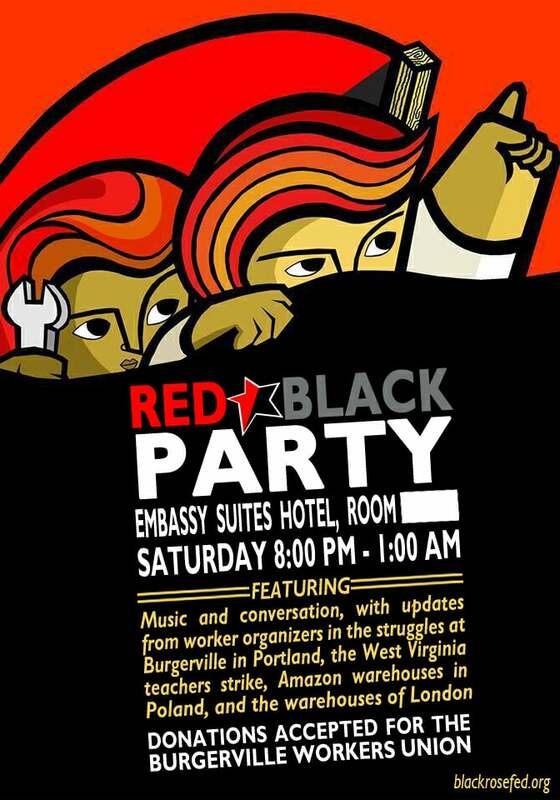 A member of Democratic Socialist of America, Sweeny promised to reinvigorate organizing and was embraced by progressive activists and academics. By 2005, after ten years of holding the reigns of power (the point at which he promised to step down), the excitement that surrounded Sweeny had largely sputtered and has he been unable to offer a clear alternative to malaise effecting mainstream labor. Several important shifts in the AFL-CIO during this period are worth noting such as the formal change in the AFL-CIO historic stance in opposing immigration and now embracing organizing immigrant workers, some degree of opening of the leadership to women and people of color, the shift of several unions towards (staff led) ‘organizing models’ such as SEIU, AFSCME, HERE-UNITE, and the creation of the Organizing Institute (OI). The OI created the “Union Summer” program which aimed to expose college students (mostly coming out of progressive student organizing) to the labor movement and the ‘organizing unions’ began to hire these progressive students and social movement activists, including radicals, to serve in high turn over staff organizer positions. 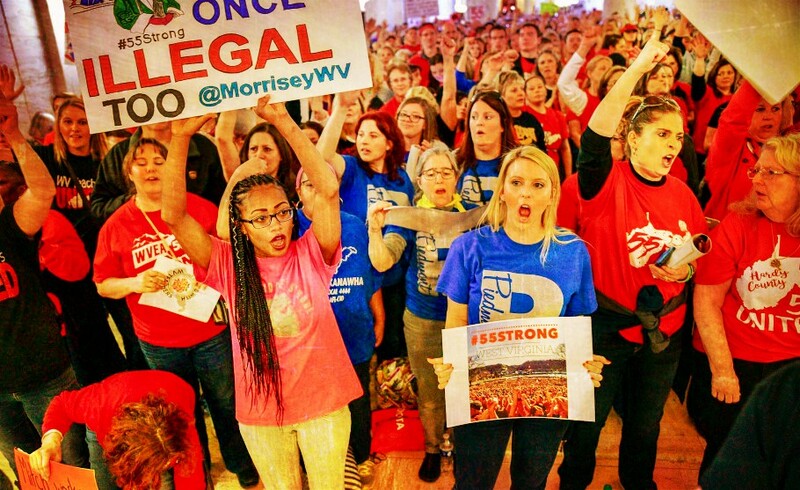 While the organizing efforts are largely more efficient and well orchestrated versions of top down, staff directed organizing focused on gaining legal recognition, it has drastically changed the relationship of the left, especially with younger activists on the left, to mainstream unions. 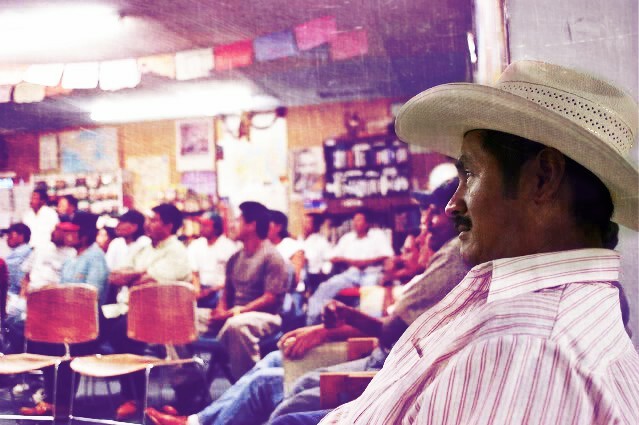 Meeting of the CIW or Coalition of Immokalee Workers, an independent worker organization of farm workers formed in 1993 and based in Florida. Growing though mergers and organizing to become the largest union in the US over the past 10 years, SEIU has emerged as an important player within the Sweeny administration as many high level staff were tapped to take roles with the AFL-CIO leadership. Over this time through various internal restructuring endeavors such as 1999 New Strength Unity plan, the leadership of the union centralized control and pioneered the creation of statewide ‘mega locals.’ As early as 2000 SEIU, now headed by Sweeny’s former lieutenant Andy Stern, had been circulating proposals to drastically reorganize the AFL-CIO into sectoral unions focused on organizing and under greater central direction. By 2003 SEIU grouped several union around its proposal (UNITE-HERE, UBC, LIUNA) to form the New Unity Partnership coalition, which later expanded to the Change to Win (CtW) coalition with the addition of IBT and UFCW in 2005. CtW pursued essentially a policy of brinksmanship leading up to the 2005 AFL-CIO convention, with a series of demands around structural and funding changes that the convention largely agreed to, and then broke away to form a rival federation. Many progressives and others on the left, again like with Sweeny in 1995, embraced the effort with some comparing CtW to the CIO in the 1930. Though recent moves by Stern, especially his very public clash with the leader of SEIU’s California healthcare megalocal leading to the leadership and staff of the local to spear a breakaway effort, have begun to tarnish him. 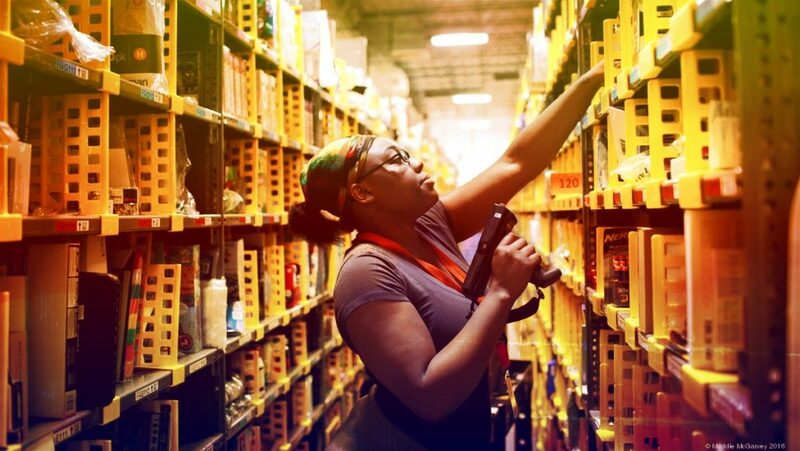 Also occuring during the 1990’s and early 2000’s were the formation of worker centers that organize largely low-wage segments of the workforce whom are non-union, especially among immigrant workers. These organizations emerged largely as a critique of any meaningful efforts of unions to engage or organize among these workers. 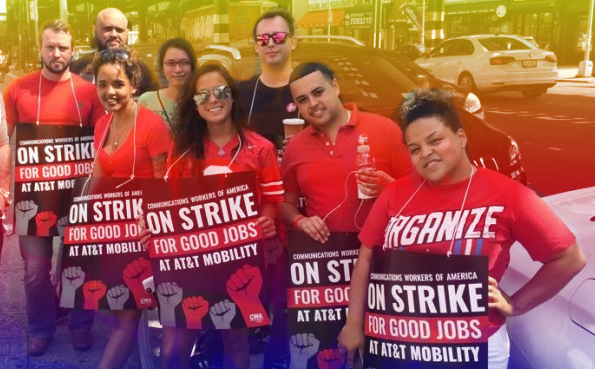 Some function as proto or non-legally recognized and non-majority unions, but many are similar to the service and advocacy models of non-profits with some being aligned with local unions or the AFL-CIO nationally such as the National Day Labor Organizing Network. Other developments were totally unexpected and largely spontaneous response from Latinos in 2006 to a proposed bill which would criminalize undocumented immigrant and their familes and supporters. These led to massive marches in all major cities and even smaller ones on May 1, 2006, which were the largest demonstrations in US history. The subsequent marches that have continued in most cities each year since on May 1st, though much smaller, have revitalized May Day as a working class tradition and a symbol of the immigrant rights movement; though participation by AFL-CIO unions varies widely by city. In addition to advice from those who have studied labor history the following sources were used in compiling this article or as general references.